By Keith Cowing on April 17, 2017 9:28 AM. 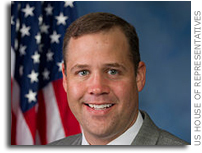 "Oklahoma First District Congressman Jim Bridenstine says he is still in the running to be the new head of NASA. Bridenstine told News On 6 he was recently asked back for another interview by the Trump administration. The Republican said, "I don't know what the end result is, but I keep interviewing, which is an indicator that maybe I'm still in the mix for it." "While he lacks the science background of previous NASA administrators, he is a member of the House Science, Space and Technology Committee who has advocated for space exploration. "NASA is something that Republicans and Democrats both like," he said. "It's something everybody wants to do." By Keith Cowing on December 28, 2016 3:42 PM. Trump met with historian Douglas Brinkley. Brinkley said afterwards Trump "was very interested in a man going to the moon," per pool report. "A historian who met with Donald Trump says the president-elect was "very interested in a man going to the moon." Historian Douglas Brinkley met with Trump at the Mar-a-Lago resort in Florida on Wednesday afternoon. Brinkley told reporters after the meeting his conversation with Trump focused on "Nixon and Reagan and Kennedy ... a sort of history of the presidency and past inaugurals and things like that." He also mentioned that Trump "was very interested in a man going to the moon and the moon shot so we were talking a little bit about that." Will Trump Try And Get A Better Deal On SLS/Orion? By Keith Cowing on December 21, 2016 6:36 PM. "Donald Trump on Wednesday convened more than half a dozen top military officers, including for a discussion about "trying to bring costs down" on the controversial F-35 fighter jet and other high-priced Pentagon projects." "U.S. President-elect Donald Trump met on Wednesday with the chief executives of two major defense companies to pressure them to reduce project costs, part of his push to save taxpayer money on high-profile contracts. ... "Trying to get the costs down, costs. Primarily the (Lockheed Martin) F-35, we're trying to get the cost down. It's a program that's very, very expensive," Trump told reporters after meeting with the CEOs and a dozen Pentagon officials involved with defense acquisition programs who he said were "good negotiators." ... Trump has said Boeing's costs to build replacements for Air Force One planes - one of the most visible symbols of the U.S. presidency - are too high and urged the federal government in a tweet to "Cancel order!" Keith's note: I wonder what Trump's reaction will be when his Transition Team tells him about costs/delays in the Boeing/Lockheed Martin SLS/Orion program. WIll he haul the CEOs back in for another deal making session? By Keith Cowing on December 20, 2016 3:26 PM. Keith's 16 December note: The Trump Landing Team will be halting work at NASA Headquarters in a few days and then coming back after New Year's. As such, I doubt that there will be any movement from Trump Tower in terms of naming an Administrator. Keith's 17 December update: Sources report that Brandon Eden, Alan Stern, Charles Miller are among new appointees submitted to join the Trump Landing Team at NASA for an increased focus on commercial space. There is a possible fourth new member as well. Stay tuned. Keith's 20 December update: Sources report that Alan Lindenmoyer, former manager of NASA's Commercial Crew and Cargo Program, is also on the list of people to be added to the NASA Landing Team. Meanwhile it looks like Brandon Eden will not be on the Landing Team which is unfortunate given his familiarity with commercial space from his days working for Rep. McCarthy. Meanwhile, the SLS materials being assembled for the Landing Team are being advised by purported NASA Administrator possibility Doug Cooke (who has worked for years as a Boeing consultant) - who is not actually on the Landing Team. But wait, there's more: at least one of the NASA Landing Team wants to try to become NASA Administrator - because, well ... this is NASA Administrator Apprentice after all. "Last Thursday, word began to trickle out about new appointments to the transition team with a decidedly commercial bent. Reports of the new transition team members first appeared in NASA Watch, and the Wall Street Journal confirmed them Monday. Ars understands that not all of the appointments are final, and Shank has resisted the new direction. "It will be interesting to see how Trump Tower handles the product of the Shank team versus the new team," one source told Ars." By Keith Cowing on December 16, 2016 7:52 PM. By Keith Cowing on December 16, 2016 3:38 PM. By Keith Cowing on December 14, 2016 12:55 PM. "Climate data from NASA and the National Oceanic and Atmospheric Administration have been politically vulnerable. When Tom Karl, director of the National Centers for Environmental Information, and his colleagues published a study in 2015 seeking to challenge the idea that there had been a global warming "slowdown" or "pause" during the 2000s, they relied, in significant part, on updates to NOAA's ocean temperature data set, saying the data "do not support the notion of a global warming 'hiatus.'" In response, the U.S. House Science, Space and Technology Committee chair, Rep. Lamar S. Smith (R-Tex. ), tried to subpoena the scientists and their records." Keith's note: Lamar Smith's policy director throughout this period of subpoenas was Chris Shank who currently leads the Trump Transition Team effort at NASA. By Keith Cowing on December 13, 2016 9:32 PM. "And then who was campaigning for Donald Trump? Donald Trump and Mike Pence. And I got so frustrated. By then Hillary Clinton also had Al Gore and all these others, and I got so frustrated I sent a tweet. Ha! And it got a lot of attention. And in the tweet I said: "Given the stakes of this election if Paul Ryan is not for Donald Trump then I am not for Paul Ryan." It is true that Donald Trump has not been in the political arena nor has he been in the politically correct arena. He lives in a quite frankly vulgar industry - the entertainment industry. And I will also tell you that he reflects that." Keith's note: Bridenstine has been spending a fair amount of time on space policy over his first two terms and many of the things he has talked about resonate with positions taken by Trump advisors Newt Gingrich and Bob Walker. The Trump cabinet nominees announced thus far run the range from prior supporter to prior opponents. And most of them have no government and/or agency-related subject matter experience. In this case Bridenstine was loyal when it counted- even if he's not exactly complementary now (as quoted). But he has been eager to learn and try new things (it would seem). So ... comments like this may hurt and/or help Bridenstine in his quest for the NASA (USAF) job. Who knows. But he does appreciate what Twitter can do. Welcome to NASA Administrator Apprentice. By Keith Cowing on December 13, 2016 9:20 PM. "One sign of the influence Mr. Sessions has with the president-elect is that job seekers actively seek his support. Three former astronauts, including retired Air Force Lt. General Thomas Stafford, who was the head of NASA's astronaut corps and later was instrumental in development of the B-2 Stealth bomber, have urged the Alabama lawmaker to support [Doug] Cooke's bid to head NASA." "This op ed piece also appeared in The Hill last week. Oddly the same exact words in the Mike Griffin/Dan Dumbacher op ed in the Huntsville times ("Contrary to some suggestions, the SLS will be very competitive with the advertised price of commercial U.S. systems - on the order of $4.5 million per ton of payload.") are to be found in an op ed "U.S. will keep lead in space with NASA's launch system" that appeared several days ago in the Orlando Sentinel - but this op ed has Doug Cooke and Steve Cook as the authors. If you read the Huntsville Times and Orlando Sentinel op eds side by side you will see that they were clearly written by the same people. Once again the Ares V mafia is mounting a PR effort to convince everyone that they were right all along." 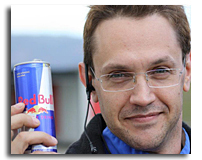 Keith's note: Steve Cook is on the NASA Landing Team headed by Griffin loyalist Chris Shank. And lest we forget, Mike Griffin is still trying to worm his way back into NASA. Although I cannot find any indication that Griffin ever publicly endorsed Trump (I can't find any evidence that Doug Cooke did either) Mike Griffin did make a $500 political contribution - but to Jeb Bush. Together Cooke, Cook, Shank, and Griffin represent the self-proclaimed "Band of Brothers" that originally gave us the Ares 1/Ares V cost/schedule nightmares - with the cancelled Ares V reborn as the new cost/schedule nightmare SLS. Haven't we seen this movie before? By Keith Cowing on December 13, 2016 11:53 AM. "Donald Trump's transition team has issued a list of 74 questions for the Energy Department, asking agency officials to identify which employees and contractors have worked on forging an international climate pact as well as domestic efforts to cut the nation's carbon output. The questionnaire requests a list of those individuals who have taken part in international climate talks over the past five years and "which programs within DOE are essential to meeting the goals of President Obama's Climate Action Plan." ... Thousands of scientists have signed petitions calling on the president-elect and his team to respect scientific integrity and refrain from singling out individual researchers whose work might conflict with the new administration's policy goals. This potential clash could prompt a major schism within the federal government, with many career officials waging a battle against incoming political appointees." "But with the election of Donald Trump, there was immediate concern -- inside NASA and among the fans of its valued work on global warming -- about the future of the agency's earth-science program. Within hours of Trump's acceptance speech on Nov. 9, an internal email from a senior official in the Earth Sciences division at NASA's Goddard Space Flight Center circulated within NASA acknowledging worry that "funding may now be exposed to severe reductions." The last month is not apt to have eased that alarm. How does an astrobiologist react when advisors to the president-elect propose cutting funding to earth studies? Trump's most visible advisor on space policy has been Bob Walker, a former House Science committee chairman who is now a space-policy lobbyist pressing to move "Earth-centric" and "heavily politicized" climate science out of NASA altogether. And Christopher Shank, who was chosen by Trump to lead the transition at NASA, is a seasoned strategist who has expressed strong skepticism about the severity of global warming." Keith's note: There are a number of Federal agencies involved in Earth and climate science - DOE, DOI, NOAA, NSF - and NASA. Given that the DOE Trump Landing Team is trying to find out which DOE employees are involved in climate research - and that Trump transition team advisor Bob Walker has been very specific about moving "Earth centric" programs (e.g. climate research) to another agency - one would expect that the NASA Trump Landing Team is going to be asking similar questions at NASA. Stay tuned. "The Department of Energy said Tuesday it will reject the request by President-elect Donald Trump's transition team to name staffers who worked on climate change programs. Energy spokesman Eben Burnhan-Snyder said the agency received "significant feedback" from workers regarding a questionnaire from the transition team that leaked last week. "Some of the questions asked left many in our workforce unsettled," Snyder said. The survey for department leadership included more than 70 questions regarding what the agency does, its workforce, costs, professional affiliations and more." By Keith Cowing on December 12, 2016 10:45 AM. Keith's note: I wonder what will happen if/when Trump notices the cost overruns and delays for the SLS program and the contractors who build it? By Keith Cowing on December 9, 2016 1:24 PM. By Keith Cowing on December 9, 2016 12:10 PM. Keith's note: This is the "disturbance in the Force" that I was referring to the other day. 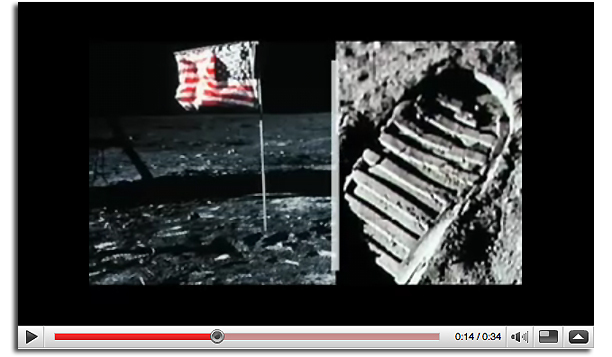 Rodney Liesveld is a pal of Chris Shank's from Mike Griffin's time at NASA. Steve Cook was one of Griffin's confidants. Sandy Magnus has long-standing ties with Griffin via their positions at AIAA. The presence of Shank, Cook, Liesveld, and Magnus is further proof that Mike Griffin is lurking in the distance plotting a return to NASA. This is more of a Griffin "Boarding Party" than a "Landing Team". Adding Jack Burns, an overt lunar exploration advocate, indicates that a pivot from #JourneyToMars toward #BackToTheMoon is in the cards. Meanwhile Rep. Jim Bridenstine is still very much in the running according to sources. 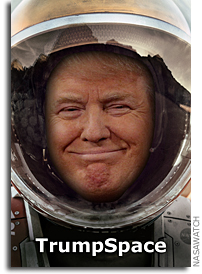 TrumpSpace: A Disturbance In The Force? By Keith Cowing on December 7, 2016 10:20 PM. Gossip: Chris Shank is telling people about some sort of big (surprising) @NASA announcement on Thurs. Yawn. Nothing is surprising any more. By Keith Cowing on December 7, 2016 10:19 PM. Some additional insight into the Trump Administration's space policy was revealed today in Washington DC. Meeting at the Cosmos Club, attendees at the 11th Eilene M. Galloway Symposium on Critical Issues in Space Law heard from a number of speakers including former Congressman Bob Walker, who is advising the Trump Transition Team, and Rep. Jim Bridenstine (R-OK) who has been conducting a behind-the-scenes effort to become the next administrator of NASA. Continue reading TrumpSpace Details Emerge . By Keith Cowing on December 7, 2016 10:10 PM. I tried but Bridenstine refused to ask questions such as "@RepJBridenstine are you still trying to become the next administrator of @NASA ?" "For Air Force secretary, sources said Trump is considering Rep. Jim Bridenstine (R-Okla.), who has also been mentioned as a potential administrator for NASA. He also met with Trump's team on Monday. Hunter and Bridenstine were among the earliest and staunchest supporters of Trump in the House of Representatives." Trump's Air Force One Tweet: Implications for SLS/Orion? By Keith Cowing on December 6, 2016 3:20 PM. "The Air Force earmarked $1.65 billion between 2015 and 2019 to develop two replacement jets, and said it may acquire up to three. However, it hasn't detailed the expected cost or delivery dates for building the planes as talks continue with Boeing, the White House and the Secret Service. "The statistics that have been cited [by Mr. Trump], shall we say, don't appear to reflect the nature of the financial arrangement between Boeing and the Department of Defense," said Obama White House spokesman Josh Earnest." Did Donald Trump tank Boeing's stock because he was mad about a news article? "As it turns out, though, the Trump tweet may not have been unprompted. CNN's Jake Tapper noted on Twitter that shortly before the tweet (which was posted at 8:52 a.m. Eastern) the Chicago Tribune posted an interview with the company's CEO, Dennis Muilenberg. "Anyone who paid attention to the recent campaigns and the election results realizes that one of the overarching themes was apprehension about free and fair trade," Muilenberg told the Tribune's Robert Reed. Fair trade has helped Boeing, which prides itself on being America's largest manufacturing exporter." "Miller, the Trump spokesman, told The Post about Trump's stock sale Tuesday morning, following Trump's criticism of aviation giant Boeing. Trump reported owning between $50,000 and $100,000 of Boeing stock in the May filing. In the three years between Trump's original tweet about buying Boeing stock and June 2016, Boeing's share price climbed about 70 percent." Keith's note: I just got back from the Aerospace Industries Association annual media luncheon in Washington EDC. There was a lot of nervous laughter about this news which was breaking just as well all arrived at the hotel. I am wondering what might happen if/when SLS/Orion cost increases and chronic delay - and the commercial alternatives - comes to Trump's attention. There are hints that this might be an issue in the op eds written by on-again off-again Trump advisor Bob Walker. By Keith Cowing on December 4, 2016 4:31 PM. "The space policies were not very different. People would joke that you could take an editorial by a Republican space person, change a couple of words here and there and then put Clinton's name on it. We were all assuming that Clinton would win. I knew who the people were that would show up at Nasa the next day to begin the transition process," says Keith Cowing, a former Nasa employee who now edits Nasawatch.com. Then, of course, Trump won. At first it seemed no big deal, but then surprising events started to unfold. A day or two after the election, none of the expected Republican advisers were named as part of the Trump transition team for space. "They were either thrown off because they were lobbyists or had decided that they did not want to be involved," says Cowing, who has been reporting on Nasa from Washington DC for 20 years. "Suddenly it went from what seemed to be clarity to complete mystery." By Keith Cowing on December 1, 2016 2:21 PM. The Committee Democrats look to our respected scientists @NOAA and @NASA for our climate data. Keith's update: But wait: there's more - House Science Committee Chairman Lamar Smith also writes for Breitbart too: Rep. Lamar Smith: Amnesty Costs Workers and Taxpayers. By Jason Rhian on May 17, 2010 8:17 AM. The Cape Canaveral and Kennedy Space Center (KSC) area was a hive of activity this week. The space shuttle Atlantis roared off the launch pad on its final mission, STS-132. Over at the Kennedy Space Center Visitor Complex it was announced that the final frontier will beam down in the form of a live stage show. It was also revealed this week that come this September, Brevard County in general and KSC in particular will be playing host to robots in disguise! By Jason Rhian on May 10, 2010 9:18 AM. This past week at Cape Canaveral saw the passing of a space legend, the build up to one of the final shuttle launches and efforts to stem the flow of highly-technical space jobs away from the area. It also saw private space company SpaceX striving to meet the launch criteria for its Falcon 9 rocket. By Keith Cowing on May 4, 2010 4:07 PM. "Overall, most agencies scored at 70 percent of total points or higher. Fewer than half of all agencies received 80 percent or higher. The top three agencies, which scored above 100 percent, were the National Aeronautic and Space Administration (NASA), the Department of Housing and Urban Development (HUD), and the U.S. Environmental Protection Agency (EPA). It should be noted that no agency achieved 100 percent compliance with the OGD criteria, as can be seen in the agencies' basic scores (scores that did not include any bonus points). Those agencies that scored over 100 percent overcame minor point deductions by earning bonus points." "No plan fulfilled all of the requirements of the OGD, but eight agencies created plans that stand out for their overall strength: NASA, the Department of Housing and Urban Development (HUD), the Environmental Protection Agency (EPA), the Office of Personnel Management (OPM), the Department of Transportation (DOT), the Nuclear Regulatory Commission (NRC), and the Department of Labor(DOL). Of the top tier plans, NASA, HUD and EPA stand out for presenting model plans." By Keith Cowing on March 24, 2009 10:50 PM. "THE PRESIDENT: Well, obviously we're really proud about the extraordinary work that our American astronauts are doing. You are representative of the dedication and sense of adventure and discovery that we're so proud of. But one of the things that's wonderful about this is that it is an international space station. And I know that we have our Japanese and Russian counterparts on board, as well. We'd love to say hello to them -- and hope that this is an example of the kind of spirit of cooperation that we can apply not just in space but here on the ground, as well." By Keith Cowing on March 24, 2009 11:20 AM. Editor's note: President Obama called the shuttle and ISS crews this morning at 9:49 a.m. EDT. The President was joined by Acting NASA Administrator Scolese, members of Congress, and children from local schools. Continue reading Today's Video: Presidential Phone Call to the ISS. By Keith Cowing on March 24, 2009 9:10 AM. 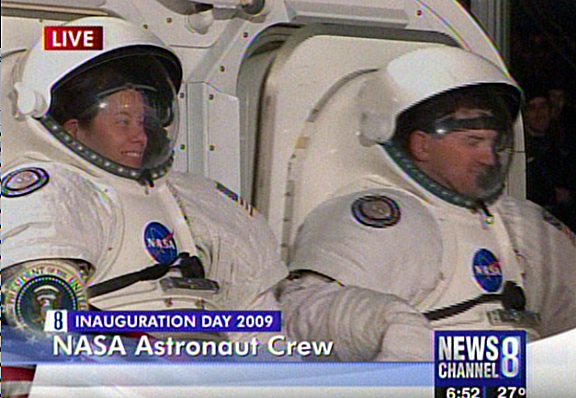 "President Obama will speak with Shuttle Discovery astronauts today as they wrap up a series of spacewalks high above. But they still don't have a boss back here on Earth. "I will soon be appointing a new NASA director," Obama recently told a group of reporters from regional newspapers. "I think it's important for the long term vibrancy of our space program to think through what NASA's core mission is, and what the next great adventures and discoveries are under the NASA banner." Two weeks since that statement however, there's still no NASA chief and two candidates once believed to be finalists have been tapped for other government jobs: Steve Isakowitz was reappointed chief financial officer at the Energy Department and retired U.S. Air Force Maj. Gen. Scott Gration will serve as a special envoy to Sudan." "Whatever the case, insiders say that Obama is unlikely toname anybody to the job before next month, despite urging byFlorida legislators that hepick somebody for thepost soon." By Keith Cowing on March 20, 2009 8:06 PM. "But there are also a few reasons for Darfur interventionists to worry. Significantly, Gration originally had his heart set on running NASA. Obama tried to put him there until defense lobbyists scotched the idea. This raises questions about whether this new assignment is an afterthought for both Gration and the administration. If Obama sees the Darfur envoy simply as a patronage job for loyal supporters--like the multilateral affairs job that went to Power--then he may not be that ambitious about Darfur." "President Obama also made the following announcement today: Steve Isakowitz, Chief Financial Officer, Department of Energy - Steve Isakowitz was sworn in June 1, 2007 as Chief Financial Officer of the Department of Energy after being unanimously confirmed by the United States Senate." By Keith Cowing on March 19, 2009 5:55 PM. Editor's note: Now that Steve Isakowitz has been shot down by Sen. Nelson, and Scott Gration is headed to Africa, a new name has started to circulate inside the Obama Administration as a possible NASA Administrator: Mae Jemison. Dr. Jemison is a former astronaut who flew on STS-47 in 1992. Jemison went to college with Valerie Jarrett, a senior advisor to President Obama. Jemison has been present at some initial Administration planning activities when Jarrett was in attendance. Stay tuned. "First Lady Michelle Obama will celebrate Womens History Month on Thursday by bringing a star-studded group of female actors, singers and others to visit 11 schools in the Washington area. 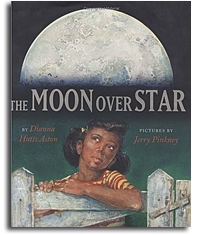 .. Mae C. Jemison, a former astronaut, will also meet with students." "Two Space Coast lawmakers today urged the Obama administration to quickly pick a new NASA chief as the agency "faces numerous time-sensitive challenges and needs decisive leadership," according to a letter signed by U.S. Reps. Suzanne Kosmas and Bill Posey. Most pressing is the fate of NASA's human spaceflight program. The space shuttle is set for a 2010 retirement, but its replacement is not scheduled to fly before 2015 at the earliest -- which likely would leave thousands of Kennedy Space Center workers without jobs." [Photo] "First lady Michelle Obama, left, hugs former NASA Astronaut Mae C. Jemison, right, as she welcomes guests to the Diplomatic Room of the White House in Washington, Thursday, March 19, 2009, as she hosted a series of events in celebration of Women's History Month." By Keith Cowing on March 17, 2009 10:22 PM. "A senior administration official says President Barack Obama has chosen retired Air Force Gen. J. Scott Gration to be a special envoy to war-wracked Sudan. Gration is a close personal friend of Obama and has considerable experience on African issues. The administration official told The Associated Press on Tuesday that Gration is the pick of both Obama and Secretary of State Hillary Rodham Clinton. The announcement was being made Wednesday." By Keith Cowing on March 13, 2009 4:21 PM. Editor's note: Well, it certainly seems that Sen. Nelson is of the mind that he is going to decide who is - or rather - who is not the next NASA Administrator. It should be no secret by now that Nelson would like to see former astronaut Charles Bolden nominated. Widely regarded as a sterling individual, few people dislike Bolden or question his capabilities. However, the White House seems to have other ideas as to who they'd like to nominate. Nelson made it quite clear that he did not want Scott Gration to be the nominee due to a lack of space experience. Now, Nelson has made it clear that he does not want to see Steve Isakowitz as the nominee either and has taken active steps to block Isakowitz's name from moving forward. 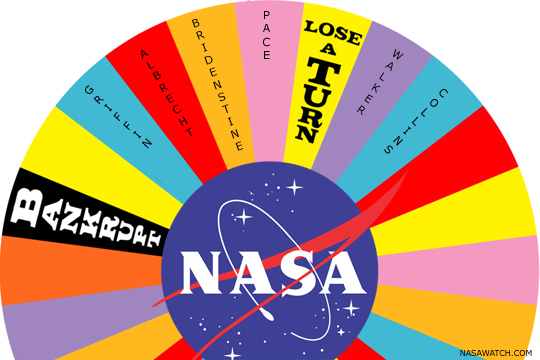 It would seem that Nelson's prime, personal criteria for picking a NASA administrator is staunch support for human space flight - and keeping the shuttle flying as long as possible (thus reducing job loss in Florida). Alas, there are are other things besides human space flight on NASA's agenda. 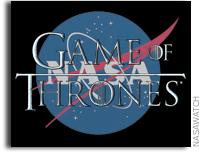 This is starting to get silly - and is becoming counterproductive so far as NASA's best interests are concerned. It is time for Sen. Nelson to stop being selfish and allow the remaining members of the Senate to have some say in this matter - and to let the White House actually nominate someone to run NASA - someone who can run the agency for the entire nation, not just Florida. 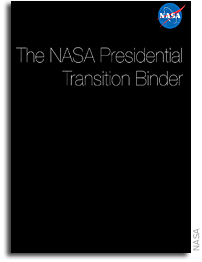 "Nelson and other NASA boosters did not like Isakowitzs reputation as a tough fiscal manager. Nelson aides blamed Isakowitz for helping kill a repair mission to the Hubble Space Telescope -- a decision that was later reversed under former NASA chief Mike Griffin -- and they worry that he would not be a strong supporter of human spaceflight. Manned spaceflight is vital for KSC, which launches the space shuttle and would be in charge of preparing its replacement for missions." By Keith Cowing on March 11, 2009 10:34 PM. "OBAMA: ... 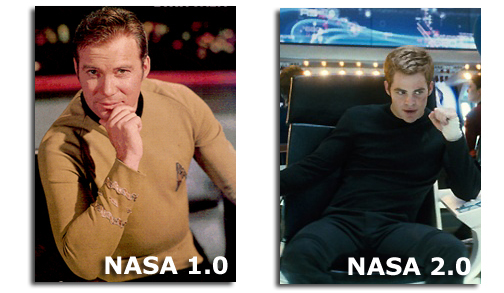 I will soon be appointing a new NASA director. I think it's important for the long term vibrancy of our space program to think through what NASA's core mission is and what the next great adventures and discoveries are under the NASA banner. The space shuttle program has yielded some extraordinary scientific discoveries, but I think it's fair to say that there's been a sense of drift to our space program over the last several years. We need to restore that sense of excitement and interest that existed around the space program. Shaping a mission for NASA that is appropriate for the 21st century is going to be one of the biggest tasks of my new NASA director. Once we have that vision, then I think that it's going to be much easier to build support for expanding our space efforts. What I don't what NASA to do is just limp along. And I don't think that's good for the economy in the region either. ..."
"OBAMA: First of all, we have authorized were budgeted for additional shuttle launches that had not been scheduled. So we're extending the life of the shuttle because a) I think it is doing some important work and b) we are very mindful of the economic impact of the space program in the region." "NASA will fly the Space Shuttle to complete the International Space Station and then retire the Shuttle in 2010; an additional flight may be conducted if it can safely and affordably be flown by the end of 2010." Editor's note: I am not sure how you can be saying that you will be "extending the life of the shuttle" at the same time that you state in budget documents that you are going to "retire the Shuttle in 2010". By Keith Cowing on March 11, 2009 10:03 AM. 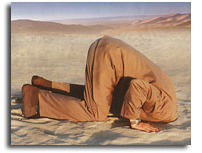 "The document orders Mr. Obama's top science adviser to help draft guidelines that will apply to every federal agency. Agencies will be expected to pick science advisers based on expertise, not political ideology, the memorandum said, and will offer whistle-blower protections to employees who expose the misuse or suppression of scientific information." By Keith Cowing on March 6, 2009 9:47 AM. Editor's note: There is continued Congressional interest in Washington in Steve Isakowitz as a possible NASA Administrator - Sen. Mikulski in particular. A very small "bring back Mike" contingent is also still at work in and around Capitol Hill albeit without much success. And a "draft Len Fisk" effort is also underway. Whether any of these efforts will have any effect remains to be seen. Stay tuned. By Keith Cowing on March 3, 2009 5:51 PM. Editor's note: Multiple sources report that Mike Griffin is mounting a quiet, but persistent comeback campaign on Capitol Hill and elsewhere. So far, none of the people in the Obama Administration who let him go and/or those who could have kept him in the job seem to be remotely interested in asking him back. Stay tuned. By Keith Cowing on March 1, 2009 11:05 AM. "But the frontrunner, at least for now, appears to be Isakowitz. He was sworn in as the Energy Department's CFO on June 1, 2007, after being unanimously confirmed by the Senate. 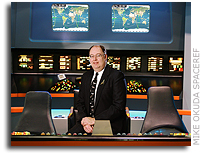 Prior to that he has distinguished career serving at the Office of Management and Budget, the CIA and NASA. At NASA he was Deputy Chief Financial Officer and Comptroller, and Deputy Associate Administrator in charge of major space exploration programs. An engineer, he used to work for Lockheed Martin." This page is an archive of recent entries in the Transition category. TrumpSpace is the next category.